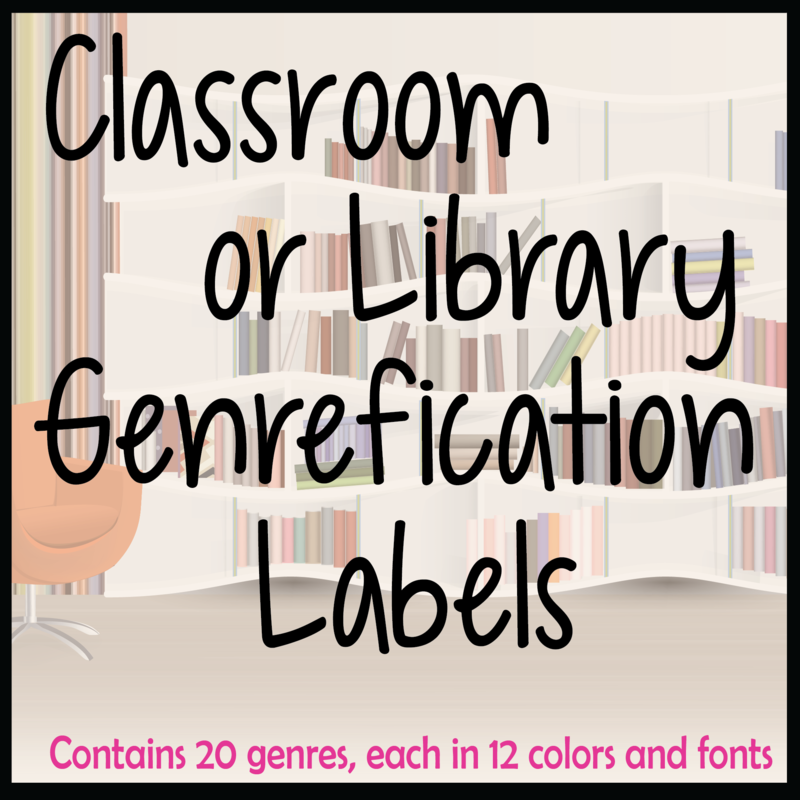 Mrs. ReaderPants: Genrefication Objection #1: If I genrefy my library, my students will not be able to use a public or college library. Not all librarians want to genrefy. What are their objections? The debate over genrefication continues to rage on library discussion boards and blog posts. I have discussed benefits of genrefication at length, so I wanted to represent the other side. For the next two weeks, I will post a different objection to genrefication each day. These objections come from other blogs, discussions with other librarians, and librarian discussion groups. I in no way want to discount these objections, most of which I at least partially agree with. My focus here is on countering these objections with my own personal experience after genrefying two libraries in two different countries. Today's objection is the first out of six that will post over the next two weeks. Objection #1: If I genrefy my library, my students will not be able to use a public or college library. Confession: I did not understand Dewey Decimal System until I became a librarian. Even though I can remember having lessons about the Dewey Decimal System in elementary and middle school. Maybe I didn't listen to my hard-working librarian. Maybe I was bored. Maybe I was too busy thinking about that cute boy across the room. Maybe I just didn't care. Despite my pathetic post-high school Dewey skills, I still managed to navigate my university library and find the books I needed. My college—The University of Texas at Arlington—was no small school. With 32,000+ students, our library was a full six stories. How did I manage to find the books I needed in such a large space? Easy. I figured it out. I didn’t even ask a librarian; I just bravely tried using the online catalog (we had card catalogs back in the day, so online was a new one for me) and followed the ample signage to find my books. It wasn’t difficult or frustrating at all. So I personally got through college without a thorough understanding of Dewey. Not everyone might be so lucky or willing to try to find books. That's why I completely agree that students need Dewey training in school. Students do need to understand that there is a classification system and know how to use a catalog system to locate the books they need. For this reason, I do not think librarians should get rid of Dewey altogether. I actually like Dewey and agree that it works pretty well in my library. While I have pulled some books from Dewey into a genrefied section (such as mythology cataloged in 200, 398, and E), I have mostly left my Dewey books intact. To me, they are already well-organized by subject and just need good signage rather than new spine labels. In my library, genrefication actually has little to do with the Dewey Decimal System. My genrefied books do not have decimals, nor did they have decimals when they were in one large Fiction section. My Dewey section still exists, and except for some shelf movement, it is mostly just the way it was before genrefication. I only split up is my mega Fiction section. If we only organize fiction titles by author last name, we completely ignore anything meaningful about the plot of the book itself. Dewey organizes by subject, then author. The closest thing to subject organization in Fiction is genre. If Dewey were still with us today, he might have done the same thing. Even as a librarian who knows authors and titles very well, I still tend to search by genre when I choose my next read. Sometimes, I'm in the mood for a mystery. Other times, I want a romance. Genrefied sections in my library help me select books, too. My husband, also a teacher and a reader, tells me that genrefication has helped him discover new fantasy authors. When we first started working at our new school, my husband glanced around the yet-to-be-genrefied library and said, "Where are all the fantasy books?" Indeed. If you really want to use Dewey traditionally, there should be no separate E or Fiction section at all. Fiction titles and picture books should technically go into the 800, or Literature, section. As an English major, many of the books I needed were located in the 800s, as is the case in many libraries with smaller Fiction sections. I don’t even think my university had a Fiction section. All the fiction books—including the John Grishams and Stephen Kings I loved so much back then—were located in the 800s. Ditto with the graphic novels; for Dewey traditionalists, the ever-growing graphic novels section belongs in 741.5. Most universities and public libraries I’ve visited use the Library of Congress cataloging system, not Dewey. If we are so worried that students cannot grow up and use other libraries, why are we not also teaching LCCN?